The holidays are near and it’s time to plan that trip you’ve been dreaming of! Chilling by the pool, drinking cold mojitos, napping in a comfy bed and simply unwinding after stressful months – we’ve got the perfect guide to help you plan for the most relaxing holiday ever! Leave your work behind at home on your trip. This means disengaging from using too many gadgets, constantly checking emails or even reading material that has to do with work. When the plane takes off, so do you! Catch up on your reading by the beach or in your hotel’s gorgeous patio. Bring some feel-good books; romance, thrillers, biographies – whatever floats your boat! You’ll be spending your time productively and you’ll enjoy the wonders of reading in a scenic place. You’ve been working out all year, eating healthy and budgeting calories – no more! For the one week you’re away from the grueling grind of life and work, cut yourself some slack and eat to your heart’s content and drink till you’re full! Besides, you can’t miss the local delicacies! Wherever you are, take some time to appreciate your new surroundings and environment. Enjoy the walks in the streets or leisurely strolls through local markets. Visit museums and art galleries, botanica gardens and other heritage sites of your destination. But don’t pressure yourself to see everything, you’re there to relax, so just add to your itinerary what you know you’ll enjoy! If you’re traveling with kids, chances are that they’re looking to have fun while you’re looking to relax. Enroll the kids in the hotel day-care while you go to your spa appointment, or book them in for arts and crafts while you go do you and want some time lone. Check out some yoga and meditation classes that your hotel offers – or find some nearby! You’ll be keeping yourself fit and rejuvenating your mind. A happier and more relaxed you! Keeping up to date with social media, news and buzzing group chats can get overwhelming. Take a break from technology, limit use to only photography. Your aim is to unwind and take a break, so limit your connection with your home for a little while! Check our traveling companies that make your itinerary as per your needs and book you the best accommodations and flights! If you decide to take this task upon yourself, it can get stressful. Let a travel agent take care of that for you! 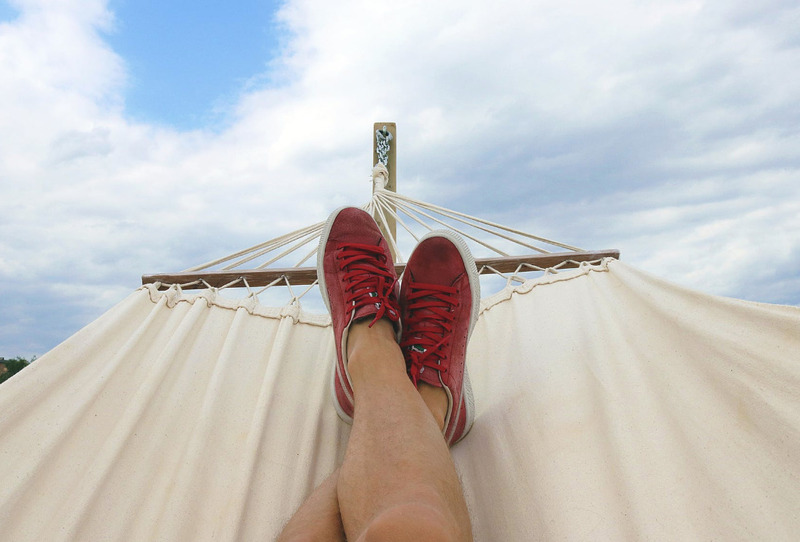 Take away the stress of planning, and you’re halfway there to enjoying your low-key, chill vacation! Check out Trade Show Travel Co for amazing destinations, budget-friendly packages, and very cooperative staff to help you plan the ultimate stress busting vacation!